With Tommy and Billy trapped in a dystopian version of Angel Grove, they’ll have to join the resistance in the fight against the evil Lord Drakkon if they want to make home. But with Jason, Kimberly, Trini, and Zack batting for control of the Command Center from Rita Repulsa, will there even be a home to return to? It’s the ultimate test of strength and will with an epic conclusion that will send ripples throughout the entire Mighty Morphin universe. 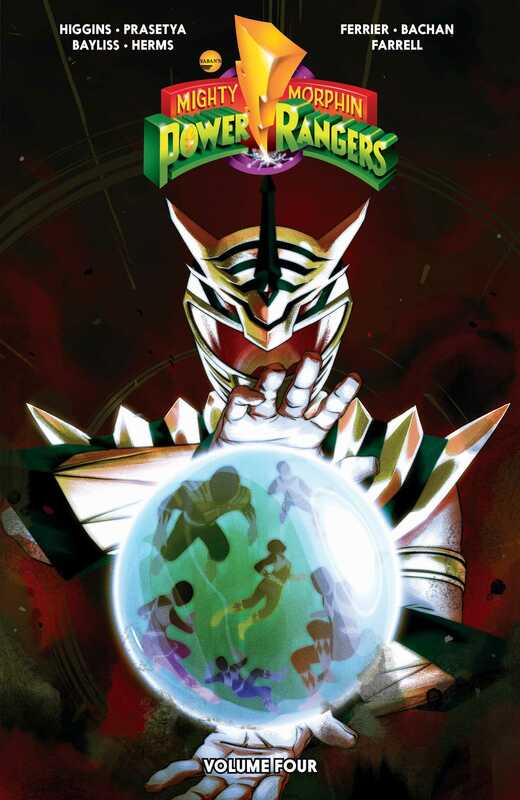 From writer Kyle Higgins (Nightwing, Batman Beyond 2.0) and artists Hendry Prasetya (PowerGirl) and Daniel Bayliss (Big Trouble in Little China / Escape from New York) comes the next ground-breaking chapter of the Mighty Morphin Power Rangers along with new stories of The Misadventures of Baboo and Squatt by Ryan Ferrier (Kennel Block Blues) and Bachan (Bill & Ted Go to Hell).